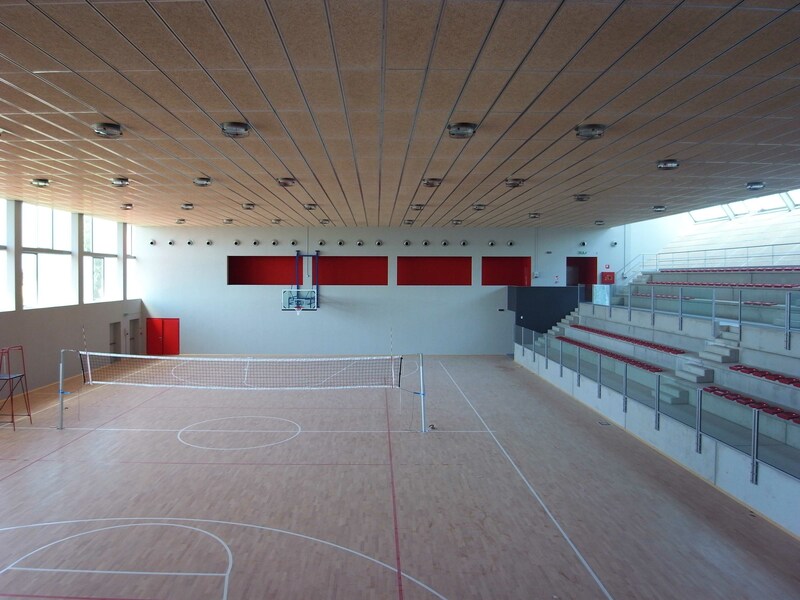 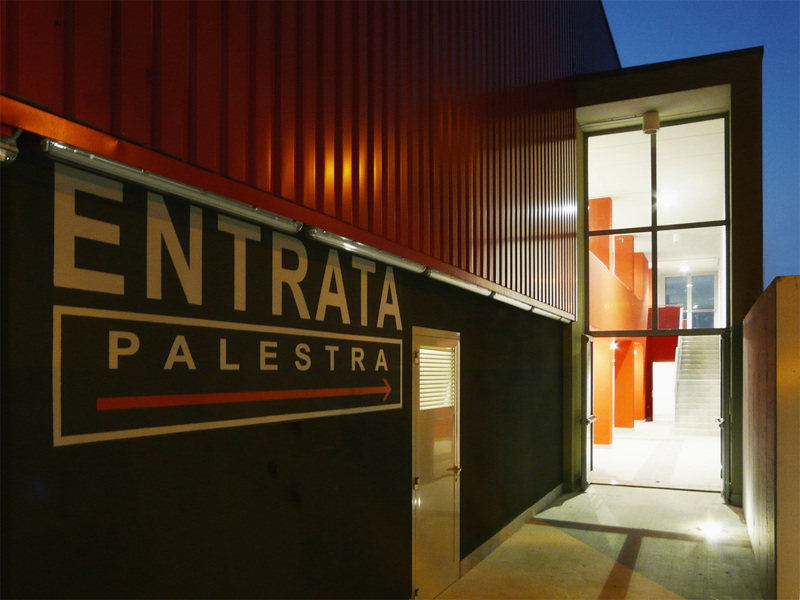 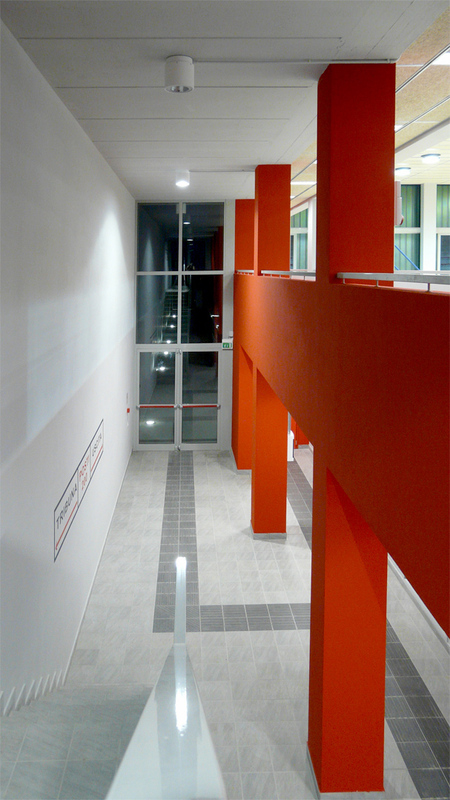 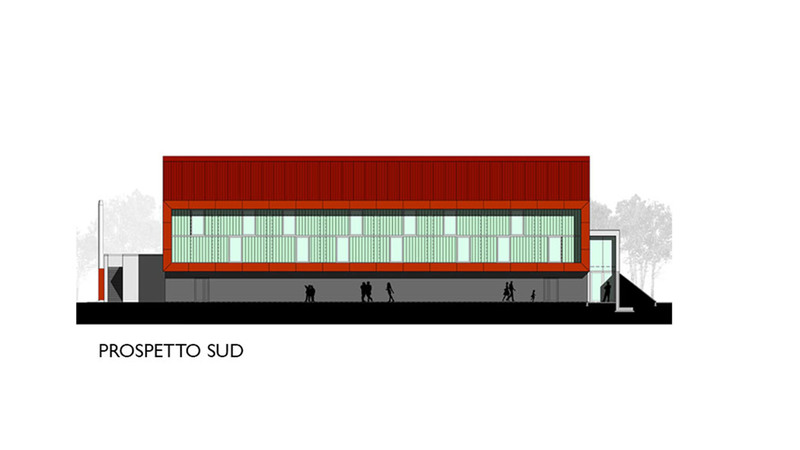 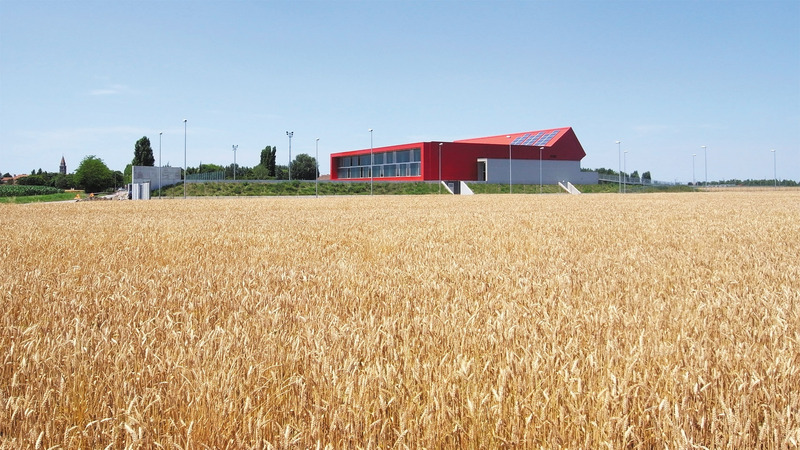 The new sports building at Correzzola was the result of an architectural competition set by the Fondazione Cassa di Risparmio di Padova and Rovigo in 2005 and serves the district of Agna, Arre, Bagnoli di Sopra and Candiana. 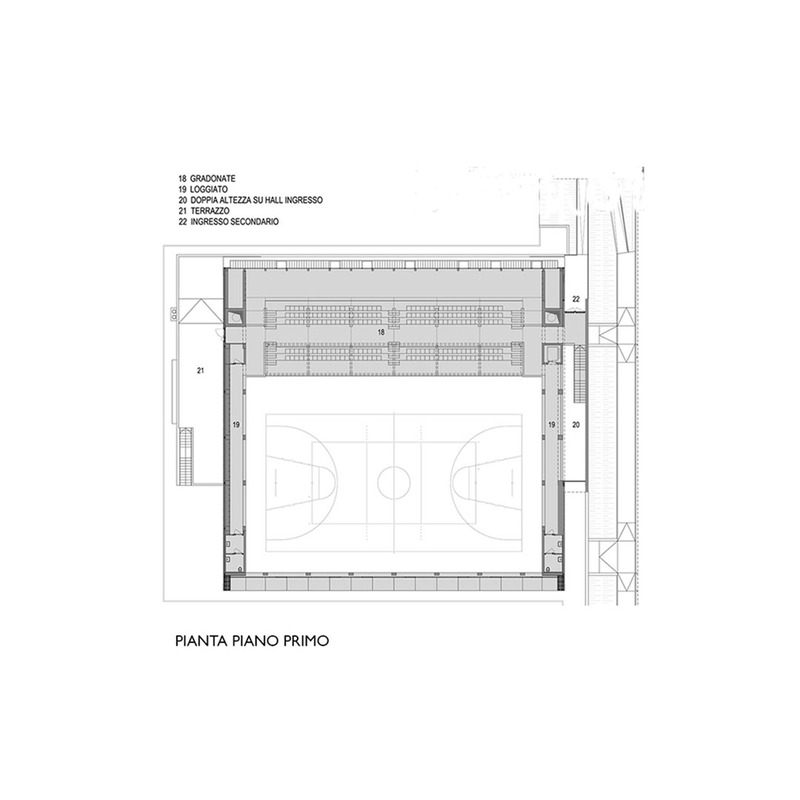 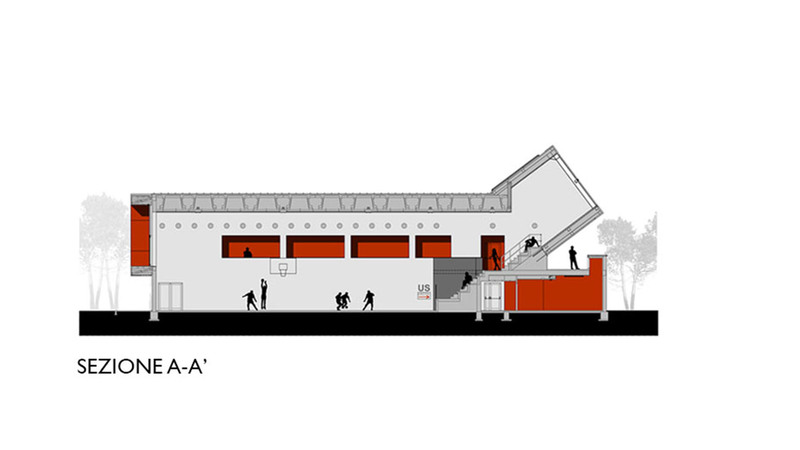 The brief was to give these areas a multi-purpose building that could hold 200 people for conferences as well as sporting and recreational activities. 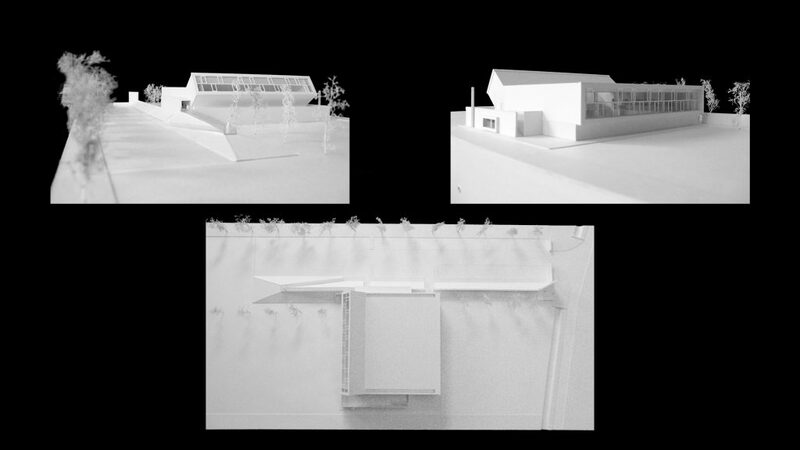 The scheme devised is based on a number of fundamental aspects regarding the site. 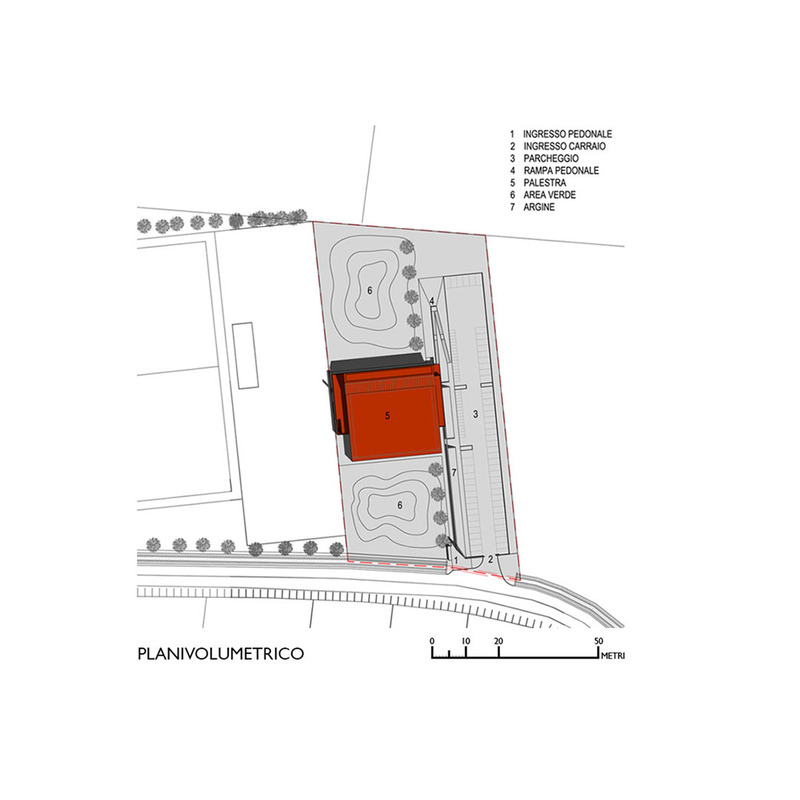 The site context is governed by lines running north-south that divide the land into sections and the geometric structure of the floodway canals while along the high banks of the canals are the numerous devices for removing water. 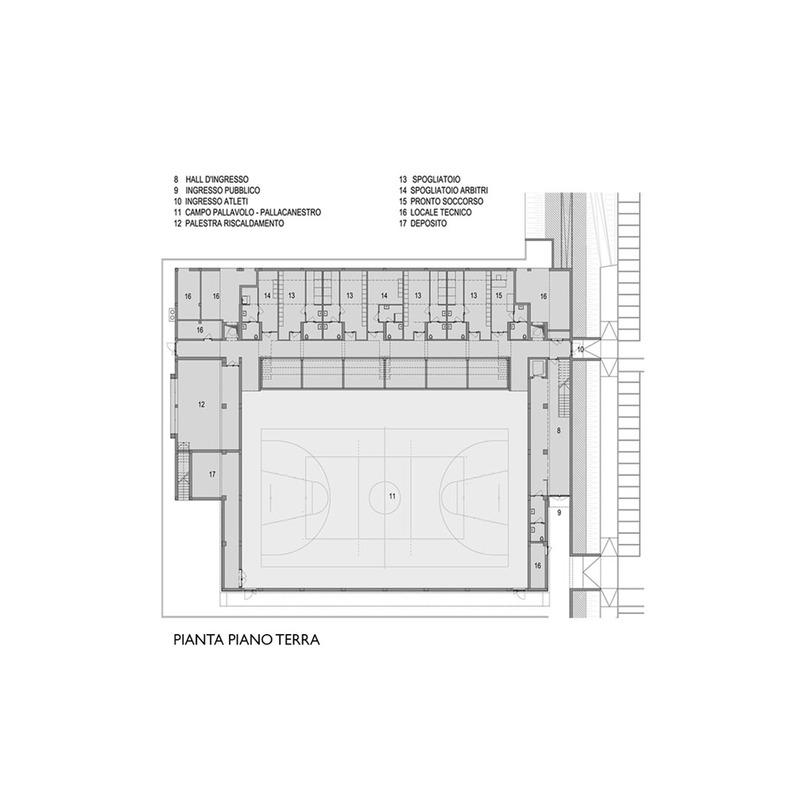 The systematic interpretation of these aspects led to the conception of a representational architectural object for sporting and cultural events that could address the morphology of the site. 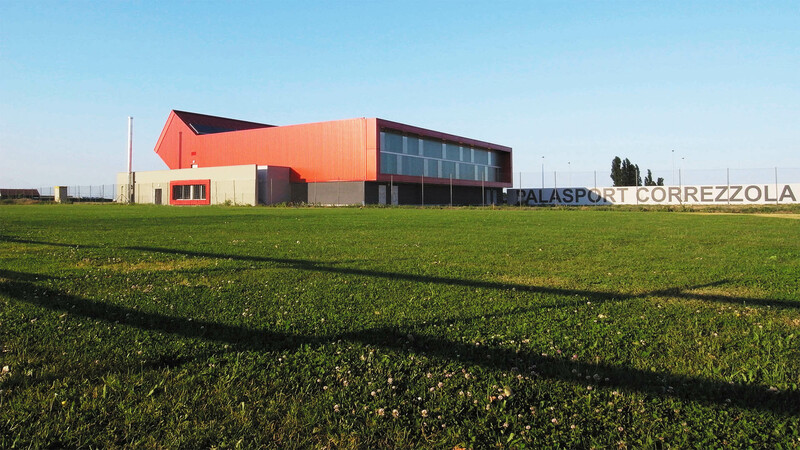 The governing layout, determined by the north-south orientation of the division of the fields, has generated the plan of the Palasport, the embankment, along the east side of the sports hall, has provided the basis for identifying the main entrance and the entrance to the changing rooms, the warm-up gym, first-aid room and technical rooms while at the north it has become the support for the ramp that leads down from the first floor to the car-park. 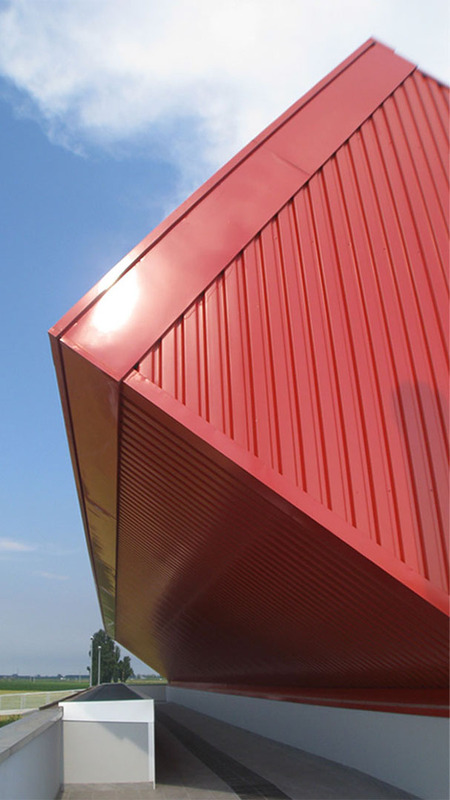 The prism of the Palasport sits on the embankment and its base while maintaining, due to its particular form, its own autonomy of form as well as function. 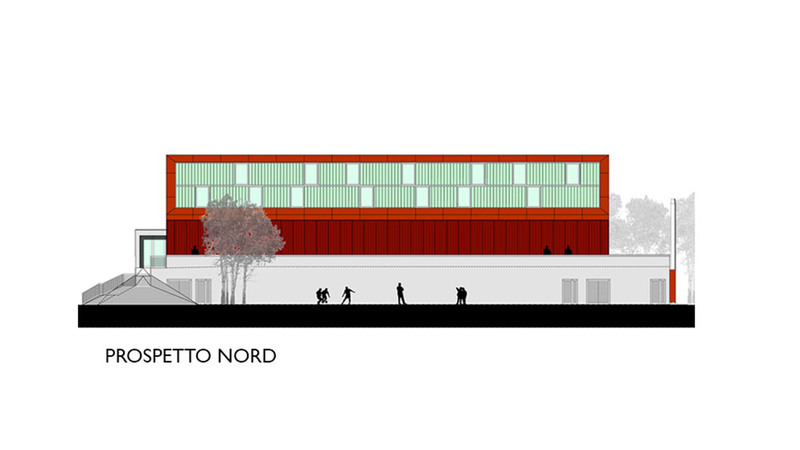 In correspondence with the public tiers at the north, the end is rotated roughly 30° upwards, generating a kind of large skylight in sheets of U-glass. 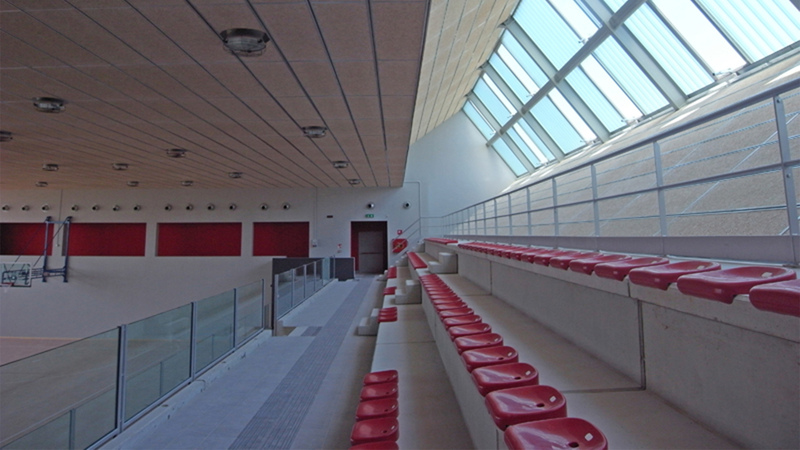 The circulation for the athletes is at ground floor while circulation for the public is through a double-height hall that via a series of steps leads to the first floor, directly to the tiers and two side galleries.